How did reputed mob figure land major city contract in Philly? 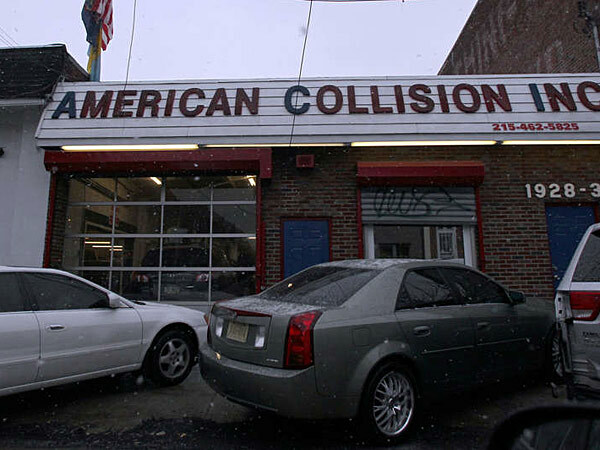 South Philly’s American Collision, which does work on police cars, is owned by an ex-con, sentenced to three years for turning another shop he owned into what prosecutors called a “shop of fraud.” He’s also under investigation for insurance fraud. RONALD GALATI, a South Philly fraudster and reputed mob associate at the center of a triple murder-for-hire investigation, has earned hundreds of thousands of dollars from a lucrative contract to repair and maintain Philadelphia Police Department vehicles, the Daily News has learned. Yesterday, a marked police car was parked inside Galati’s shop, American Collision & Automotive Center, on 20th Street near McKean. Records show that the city paid his company more than $400,000 in fiscal year 2012 alone. The contract began in 2011 and runs through June, a city official said. Galati, whose name has surfaced in the ongoing racketeering retrial of Borgesi and reputed mob boss Joseph “Uncle Joe” Ligambi, was arrested Friday on allegations that he hired hit men to kill his daughter’s boyfriend and a body-shop operator and his son. Read more the full story by William Bender at the Daily News: How did reputed mob figure land major city contract in Philly?.